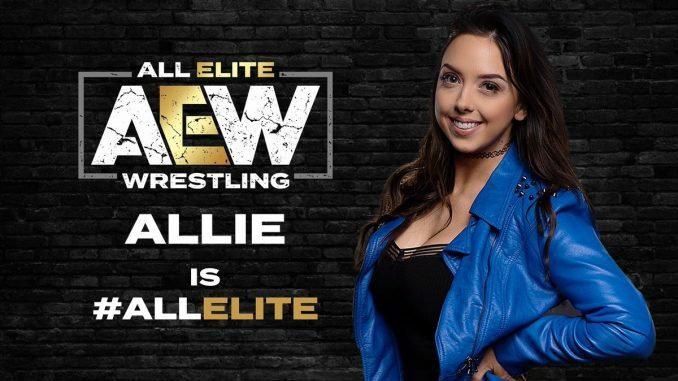 On Thursday’s edition of Road to Double or Nothing, All Elite Wrestling announced they have signed Allie (Laura Dennis) and will be part of their women’s division. She signed with Impact Wrestling in 2016 and became a standout performer on the show as the assistant of Maria Kanellis, who would later learn to wrestle and became one of the best characters on the show. She was a two-time Knockout’s champion, last winning the title in January 2018. She had been playing the role of “Dark Allie” having gone to the dark side and aligned herself with Su Yung, which is a story that is still playing out on Impact Wrestling. Mike Johnson at PWinsider reported that her contract was not renewed with Impact and she will not be at their television tapings this weekend in Windsor, Ontario.